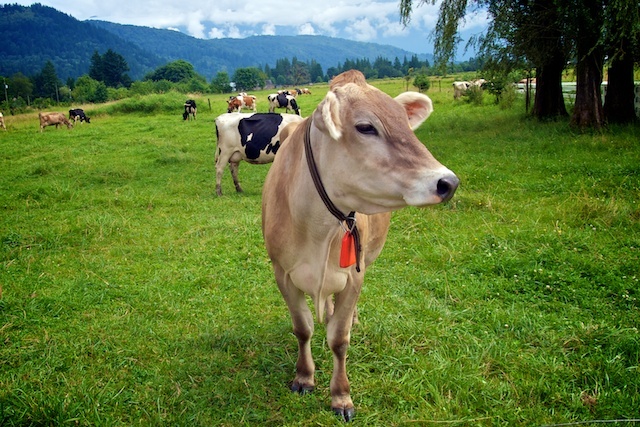 Our local Slow Food chapter, part of an international organization that has built a network of small-scale sustainable farmers, recently hosted a cycle tour of participating farms in Agassiz, BC. 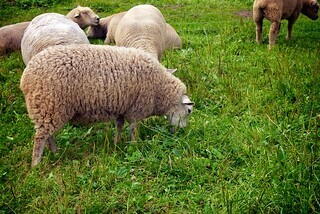 Slow Food (as opposed to fast food) is farm-to-table, supporting local growers. 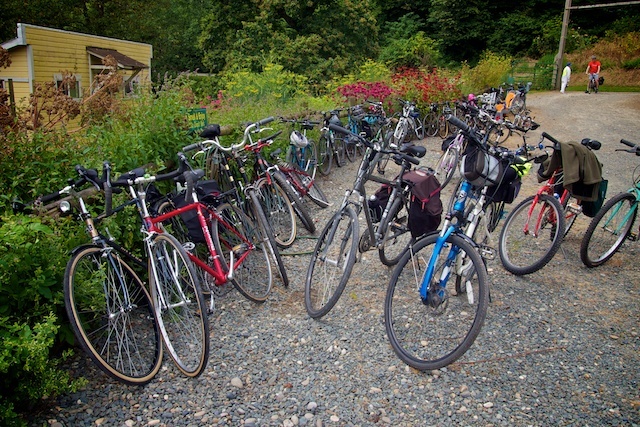 We had spent the night at the Harrison Hot Springs Resort, about 90 minutes East of Vancouver, and we don’t own bikes so we headed over to the Glencoe Motel to rent some. 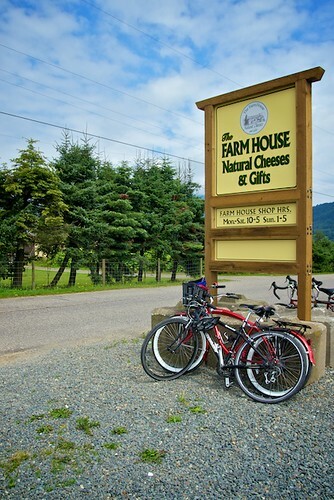 They’re the only place in Harrison you’ll find a bike rental although it seems like a very popular activity — given the proximity to the farms in Agassiz as well. The route we took, from hotel to start, and around a loop. 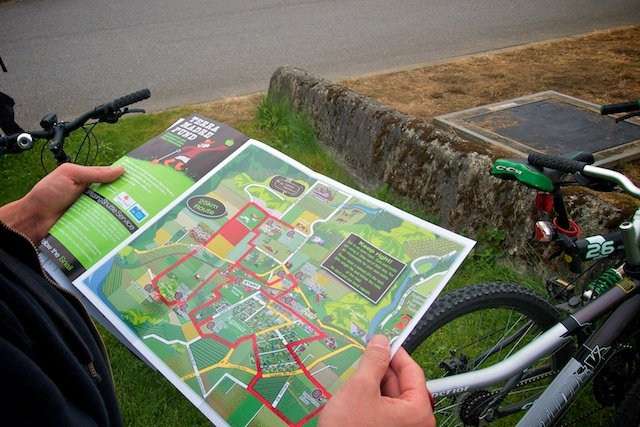 Meeting at the Agassiz Fair and Exhibition Grounds, cyclists could register and head our on their own tours between 9:00am and 4:00pm. We arrived around 11:00am to sign up, pick up our map, and plot our route. 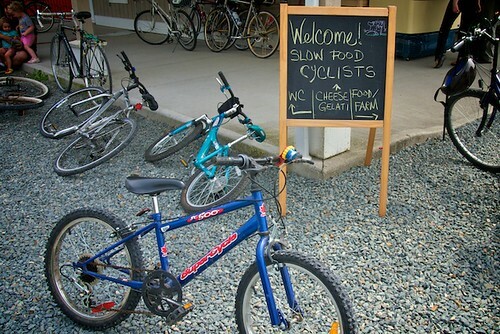 Many arrived by car or van, unloading their bikes and heading out for the day. 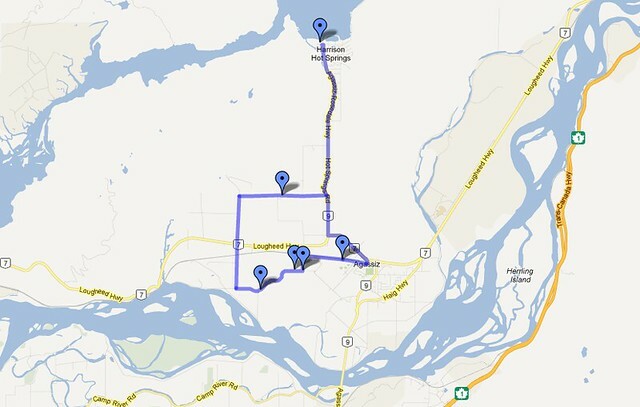 Since we had come from Harrison, we already had 9km of cycling under our belt and were all warmed up and ready to go. The Slow Food snail logo is placed all along the flat, winding route between farms and the locations are clearly laid out on the map. Hundreds of families with little ones in tow were out and about as the farms welcomed the mobs of cyclists with open arms, and plates full of treats. 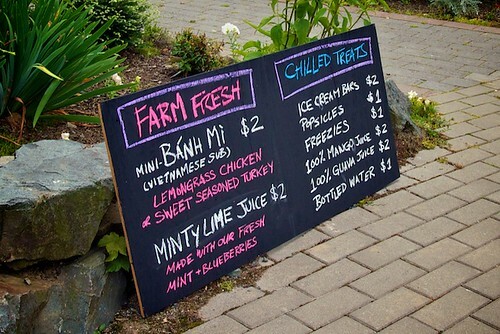 Riders were also given a ‘fresh sheet’ listing what the farms have specifically prepared for the cyclists that day. 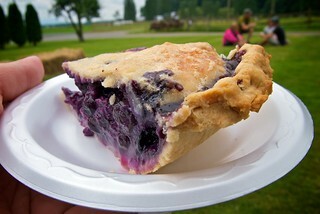 A slice of pie at Blackberry Lane B&B was $2.50, a Ploughman’s Lunch at Farmhouse Natural Cheeses was $5.00, a hazelnut sweet roll at Poplar Grove Arbour was $3 and the declicious Minty Lime Juice at Tasty Chicken Farm was $2.00 — among other special menu offerings. 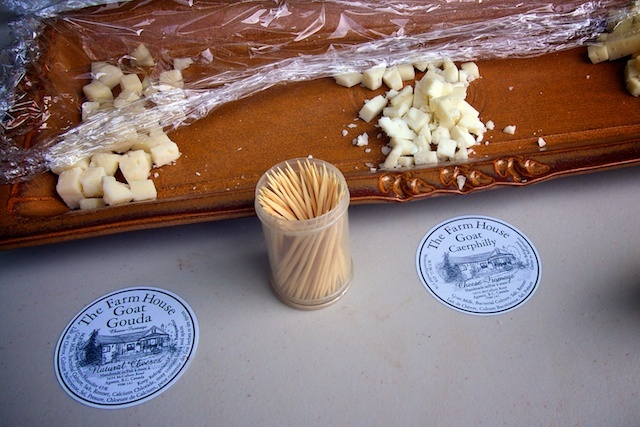 Aside from the free samples and fresh sheet menu items at each farm, you could also purchase their regular products, from garlic at Limbert Mountain Farm (home of the Garlic Festival August 18th) to the couple bags of cheese curds we picked up at Farmhouse Natural Cheeses. If cyclists made purchases along the tour, they could conveniently send their packages, bags, and parcels back to the registration area by shuttle, for pick-up when they’re done. The route was relatively flat as it curved past corn fields and orchards; roosters crowed and bike bells rang out in the distance. 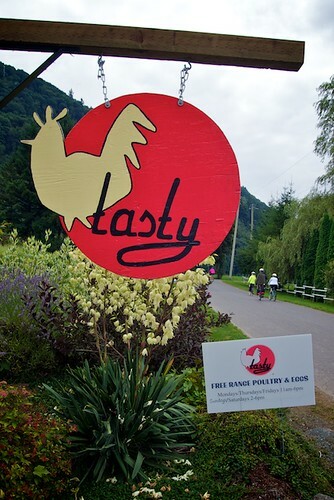 The tour was such a great way to meet farmers, pick up the freshest ingredients, and support area producers. 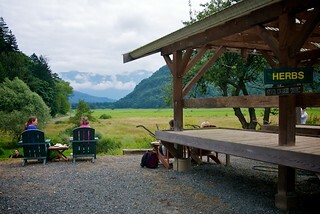 It was also the perfect family outing with fresh country air and picnic ingredients readily available at each stop. 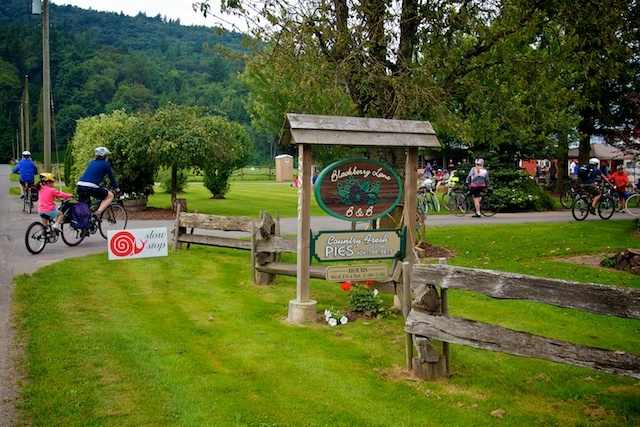 The farmers put out hay bales, picnic tables, chairs, and more to welcome the hungry group of cyclists. 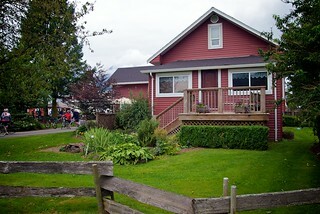 The Slow Food Cycle Farm Tour continues today in Chilliwack (Sunday, July 29, 2012), starting from Tourism Chilliwack Visitor Centre off Highway 1 Exit #116, in front of Heritage Park (the big red barns) at 44150 Luckakuck Way. 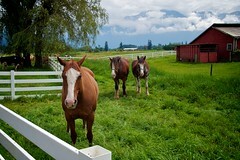 Show up and do your tour anytime between 9:00am and 4:00pm. 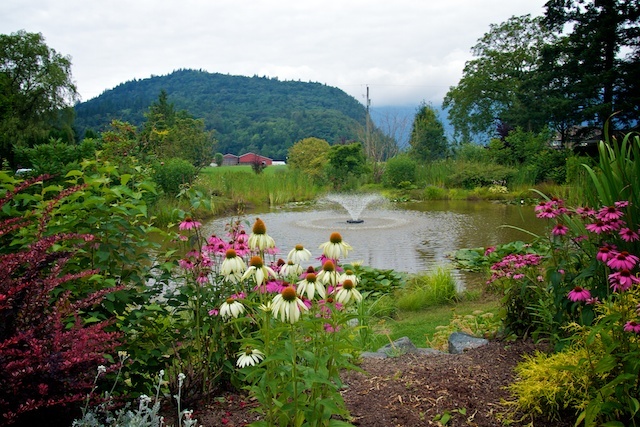 If you didn’t do yesterday’s tour in Agassiz, the cost will be $15 (it was $20 for Agassiz, $15 for Chilliwack or $30 for both days) and children 12 and under are free. 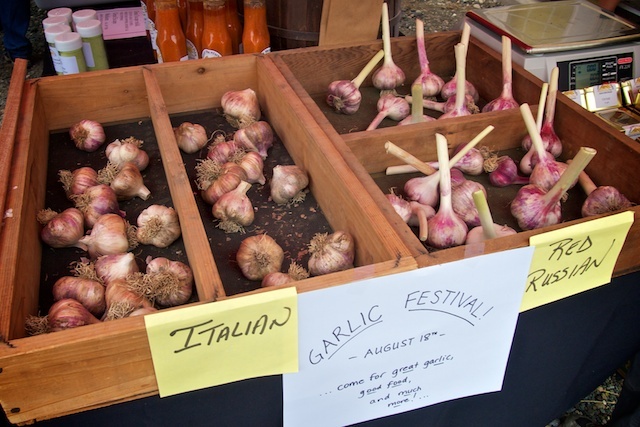 Follow Slow Food Vancouver on Twitter for more information about events like this. 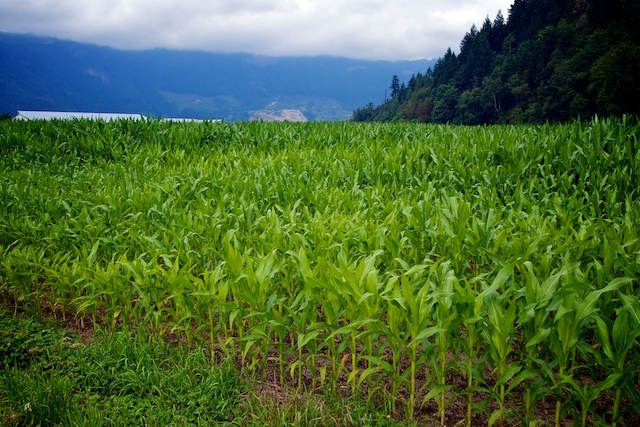 Some of the stops on the tour are also regularly a part of the self-guided Circle Farm Tour that you can do in Harrison Mills & Agassiz, Langley, Pitt Meadows & Maple Ridge, Chilliwack, and Abbotsford, with or without your bike. 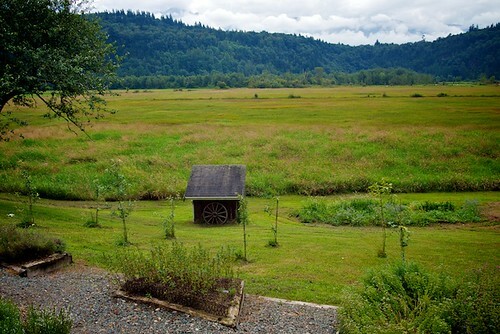 My posts from the Circle Farm Tours in Langley, Harrison, and Agassiz can be found under the “Circle-Farm-Tour” tag. 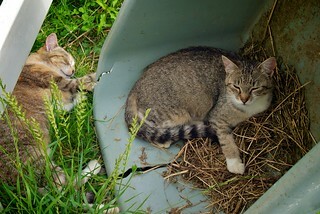 I was not paid to write this post. Our registration was covered by Tourism Harrison. This did not effect the outcome of the content and we paid for our own purchases along the tour. I’m so doing this next year!